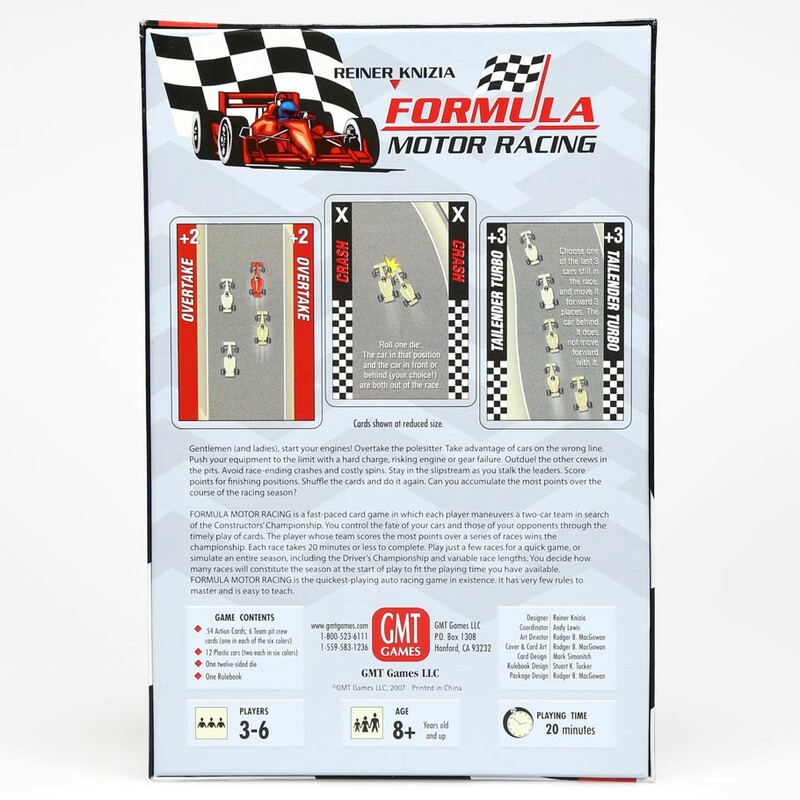 Formula Motor Racing54 Action cards6 Team pit crew cards (one in each of the six colors)12 Plastic cars (two each in six colors) One 12-sided die One 7-page rulebookGentlemen (and ladies), start your engines! Overtake the pole sitter. Take advantage of cars on the wrong line. Push your equipment to the limit with a hard charge, risking engine or gear failure. Out duel the other crews in the pits. Avoid race-ending crashesand costly spins. Stay in the slipstream as you stalk the leaders. Score points for finishing positions. Shuffle the cards and do it again. Can you accumulate the most points over the course of the racing season? 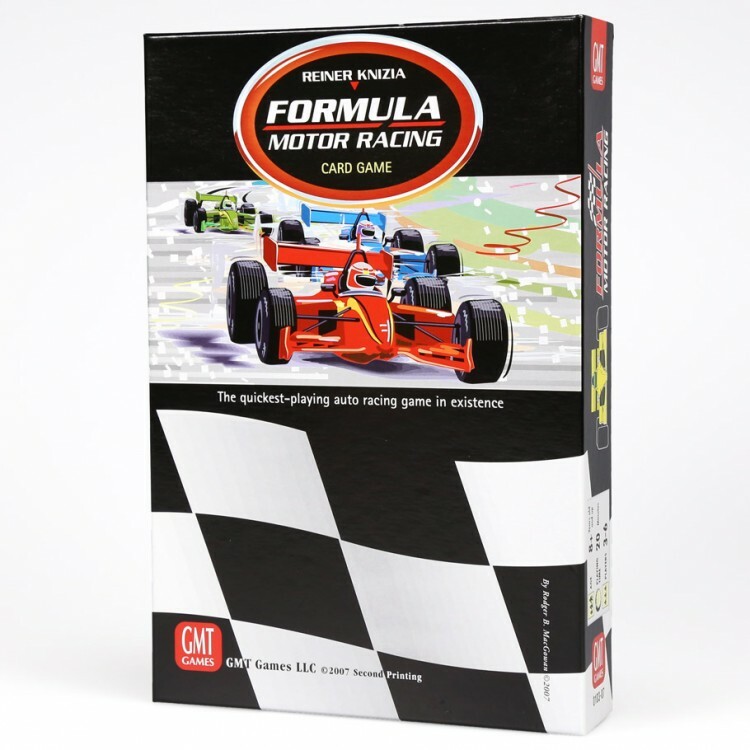 FORMULA MOTOR RACING is a fast-paced card game in which each player maneuvers a two-car team in search of the Constructor's Championship. You control the fate of your cars and those of your opponents through the timely play of cards. The player whose team scores the most points over a series of races wins the championship. Each race takes 20 minutes or less to complete. Play just a few races for a quick game, or simulate an entire season, including the Driver's Championship and variable race lengths. You decide how many races will constitute the season at the start of play to fit the playing time you have available. FORMULA MOTOR RACING is the quickest-playing auto racinggame in existence. It has very few rules to master and is easy to teach.